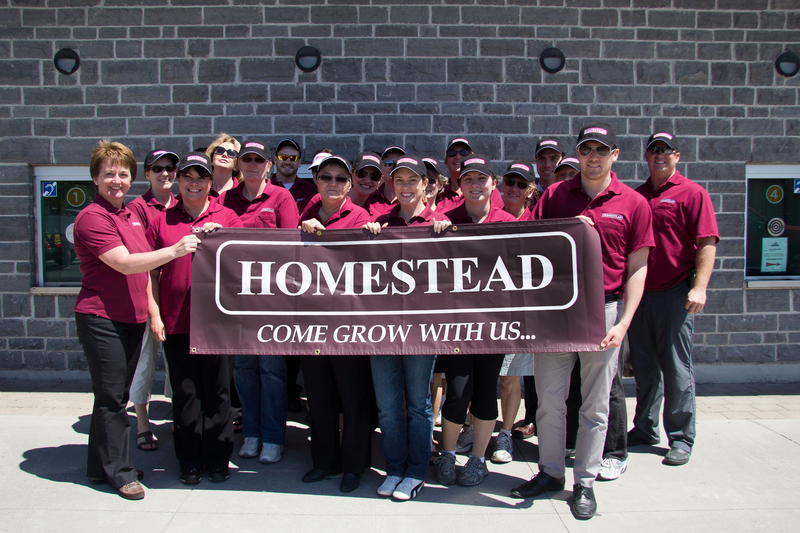 Today marks our 60th anniversary here at Homestead, which is something we are all very excited about. This great company has become one of the most respected in our industry, and we are still growing! With humble roots beginning in Kingston, we have grown all across Ontario, from Ottawa to Sarnia, with over 200 buildings in total. I started with Homestead in my current role in 2011, so my duration here is just a small piece in the grand scale of time this company has been around. I did have connections to Homestead my entire life though, so I would like to take this time to provide some perspective from growing up in this company, and as a third generation employee. When I was a young child, I can remember coming into the office at 80 Johnson Street in Kingston. While waiting for my mother to be finished with her workday, I can distinctly recall how well I was treated by the group of people around the office. When I wasn't making myself dizzy, spinning around in an office chair, or playing on the spiral staircase near the front door, I was being greeted (or given candy) by many different people, some who are still here today. I think it was these memories that made me know from a young age that this was a truly special place, and it solely had to do with the people, as it still does today. With over 700 employees now, I am still amazed at the small, traditional roots that are still kept here. Going back to when I was young, I spent a lot of time with my grandparents who were Building Managers in Kingston. I recall many nights when dinner was interrupted because of a request by a resident, whether at their door or on the phone. To me, I just assumed that my grandparents had a lot of friends that always stopped by to visit, but I grew to realize the hard work and dedication they had to their job. I see so much of this when I'm visiting our buildings across Ontario. Our team members that work in our buildings are so vital to the success of our company. The passion that they have for taking care of their residents and their buildings is inspiring to me. The days are long, and the work is not always fun, but they constantly perform to meet and exceed our high standards. When a company celebrates its 60th year, it is something to truly behold. Our core values have never changed, which is to provide quality housing for our valued residents. We're not perfect, but we have a team that is very dedicated to their jobs. The people that work for this company are some of the most friendly, personable, and loyal people I have ever met. They come into work every day with a positive and upbeat attitude and truly make a difference. I can honestly say this is a place I am extremely proud to have grown up in, and be given a career opportunity. Homestead has truly been a positive influence on both my personal and professional life. No amount of effort in my job can make up for what I have been given. I am simply one person in a large group of people that are extremely proud to work here. This place has seen sixty years of great employees (and even better people) come through its doors, and that is the number one reason why this company is where it is today. Our people.